Make a clean sweep of leaves, grass clippings, lawn debris and more with this towable lawn sweeper. 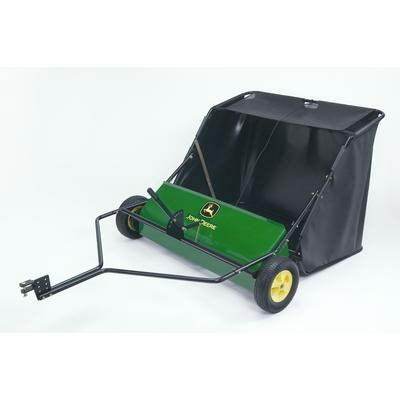 Has single pin draw bar to be towed behind a riding mower, ATV or tractor. Use with tow spring tine dethatcher and tow aerator/seeder/spreader to make spring lawn renovation quick and easy. * Please call us for any questions on our lawn sweeper 42 inch tow behind rentals in Portland OR, Gresham OR, Milwaukee OR, and surrounding metro area.